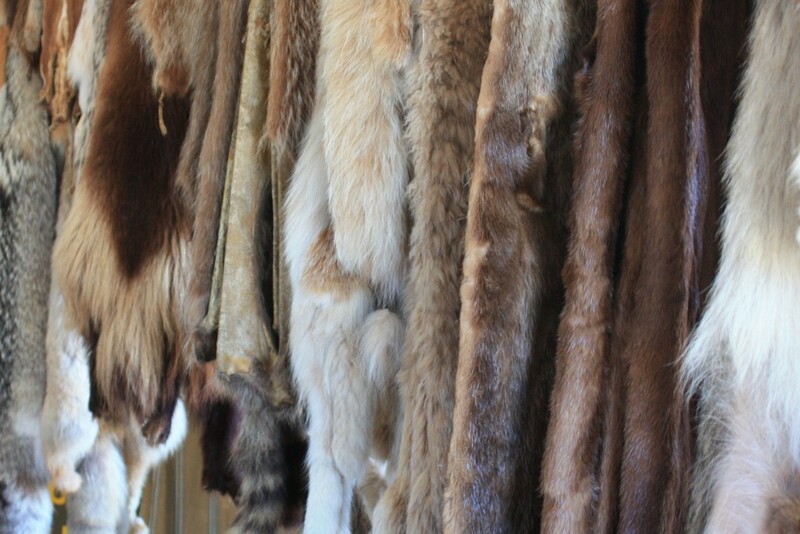 This selections of furs is displayed at Fort Langley, but the same furs would be found at any HBC fort in the territory. Now, as some of you may remember, I started this journey through the Yukon as a result of finding the Fort Selkirk Journals online. WordPress has made it so irritatingly difficult to attach a link and make it work, that I am just going to tell you to google: “Journal of Occurrences at the Forks of the Lewes and Pelly Rivers,” and that will bring you to the site. I have the answers! The story is told, in Campbell’s words, in the book, Two Journals of Robert Campbell, Later Journal — Sept. 1850 to Feb. 1853. The later journal is actually a notebook that Campbell kept and carried out with him. It was in the possession of a grand-daughter of Robert Campbell, and it was a diary 3 3/4″ by 6″ in size, handwritten, and sometimes hard to decipher. On the occasion of the Chilcats’s visit to Fort Selkirk, the fort stood on a new location but was not finished, which is why it was so easily overthrown. Here goes, and I am not going to do much but just tell the story! Friday 20th, our merry progress of hay-making was put to a stop by the arrival of 5 rafts on which were 27 Chilkats from the coast — one of them an old acquaintance brought me a basket from the Co. officers on the Pacific. I made all haste to get to the Fort before them or rather with them as some of them were ahead of – they had scarcely arrived when they evinced they were bent on mischief. The Fort being so large and not yet picketed round it was impossible for so few of us to keep an eye everywhere. They in short had us entirely in their power. In the early part of the day they loaded and had their guns ready just to fire at us inside the house when one more friendly than the rest called out the Indians were coming up the river as they had heard a shot. This for the time (illegible) them. This was our only safety among so many savages so circumstanced to try if possible not to break the peace with them in the hopes that some Wood Indians would arrive or what would be still better (illegible) the arrival of my friend Mr. Stewart…. Saturday 21st August 1852. They were on the move bent on mischief of every description (more) than even yesterday. They would thief before our eyes — our vigilance they put at defiance, we could not turn our head but they had some article secured. They now become urgent for me to decamp immediately if I wanted to see another day, etc. Every moment the clamour was getting louder and they more restless. Not a word of Brough, the Ladies, Mr. Stewart or any one. I wished to take shelter in the store and defend ourselves to the last extremity but then we had no water and they could set fire to the other end of the house and burn us out and with that Brough took the end door key with him. (illegible words) They were too strong for us. Would to heaven Mr. Stewart were here, then we would show them play. They again loaded and took their arms for shooting us and the principal leaders give their orders to their slaves to that effect but they got cool a little later without firing, but it was only momentary smothering of their fury. They continued in constant agitation, hunting for a brand to kindle the flames and unfortunately the Boat, with part of the hunters from above hove in sight. By the slight glance I was able to give in that quarter I thought they were all together, seeing two canoes in company with the boat, however I sent Lapie and Peter along the bank to warn them but the savages were yelling like fiends armed with the guns and knives and as the Boat passed along the bank they rushed into the water and dragged it ashore. There was only Gauche [a First Nations man] who was steering, with the families in the Boat — two girls rowing, (Kitsa) in a small canoe. Ere the Boat had touched the shore the fiends had everything out of it, tearing it from each other and the (noise) the yelling an[d] uproar was tremendous. Fearful of the consequence when I saw the smoking from the house to the bank I ran down to try and enter, or rather, to prevent bloodshed but in less than two minutes (they) had pillaged everything, the guns from the Indians, Peters, Kitsa’s gun and two from Gauche. I endeavoured to keep one of his guns from the Indians and while I was holding it with Mustah, who was one of their principal leaders, and going toward the house, expecting to secure not only the gun but get their goods back, three of the demons sprung with their cocked guns from the Hall door before me, held them within a few feet of my heart, others (holding) my arms and others sprung on with their daggers for running me through — One of them rip up (a dog) as he crossed his path as he sprung on and the blood dripping from the blade on my arm as the blow was evaded. They were all yelling like fiends — the uproar would beggar description — smashing and crashing everything in the house. They were determined on our destruction or expulsion. I called out presently to run for the store to defend ourselves to the last but this was impossible, I could not get in even myself and in a moment I could see no one of our own people. These demons were in and around, crowded upon me, forcing me down toward the bank. In less than 3 minutes from the arrival of the boat all was lost, and when I found myself (illegible) on the bank and could see no one but Kitsa, who was on the river in a small canoe, the rest were scattered in every direction. In the scuffle they wrested the pistol out of my belt — had even attempted to fire which was difficult for me to do. I saw at once that the attempt would be of no other result but the certain destruction of our people, all defenceless and circumstances and them had suddenly placed us and as a matter of course the Fort and all it contained. After I getting the boats afloat and got in part of Kitsa’s family (name) joined us who I found had been murdered in the house where I left him. The uproar was so terrible that I did not know who were or not Knives. Like people burnt out we got off with the boats with nothing but what happened to have upon us. Brough who deserted the preceding day we saw as we drifted down on the opposite side, and Lapie we found soon after with Gauche and then his wife and one child — the rest they know nothing of further than than they (saw) some of them running out behind towards the wood — nor were anything known of the women who left yesterday, or Peter. We therefore drifted down to the bay at Brough’s fishery where we found Flett and Lapie’s wives — crossed with McLeod immediately to the other side and come up to opposite the Fort, a distance of 5 miles, but could see nothing, and much as I wished it to be near the house at dusk at dusk with a gun it was unavailing. The confusion and uncertainty as to who were or were not killed or alive (illegible), at first that when all was lost this became the first desire. After our return to the (Fishery) we found that Peter with all the children had joined them. He come over the valley with those who joined him…. And thus we were now without anything to eat or a blanket to cover us — many without even a Capot — would to God Mr. Stewart and party had come on this sad morning, this would not have happened. I don’t know who wrote the above “note.” Surely, it wasn’t Campbell himself, but more likely the man who transcribed his journal years later. Campbell’s story continues when, on Monday August 23, he and his men returned to the wrecked Fort Selkirk. Put the boat ashore above the rocks and proceeded through the woods for the Fort which we found, contrary to our expectations, deserted — the villains had already left with their booty. They left a scene behind them that nothing will describe — the door open, windows cut out. The store and house from end to end slewed over with everything that can be imagined, with filth, etc. (illegible) ball, shot, meat, geese, fish, pans, kettles, (illegible), rice, raisins, sugar, flour, feathers, knives, paper, leather, letters, etc. etc. God Almighty what a sight in the abode of peace and comfort a few days ago. It was now near sundown — I was for instant pursuit but the Indians were luke warm with that, they had start of us and 27 to 12 guns, all we could muster, I would have given everything I had for even one or two trusty hearts with guns to go in pursuit of them. So that I had to abandon the idea of such pleasure. They left us not even a grain of powder nor hardly anything of clothing — not so much as a sock was left. Cassettes, boxes, etc., smashed to atoms. Found of 5 bags ball and 2 (illegible) 1 1/2 of the former and 2 (illegible) of the latter and 2 rolls (illegible), etc. etc. Campbell spent some time at Fort Simpson, talking to Chief Trader James Anderson. 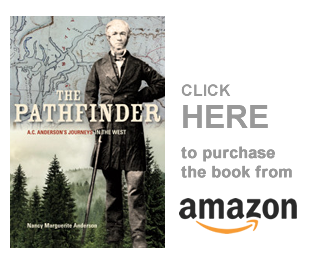 He did not succeed in convincing Anderson to re-open Fort Selkirk, so as he had been considering leaving the fur trade, he did. “Robert Campbell started here,” the transcriber notes, “ran on snow shoes to St. Paul, Minnesota. My God, what a man! J.W.W.” I have to agree with him. To return to the beginning of this long series, go here: http://nancymargueriteanderson.com/liard-river/ And, yes, I have to activate all the links in this series, and will do it soon! Thank you so much for providing people with this interesting story!